This is the Hitec HS-7950TH High-Voltage Mega Torque Digital Servo. 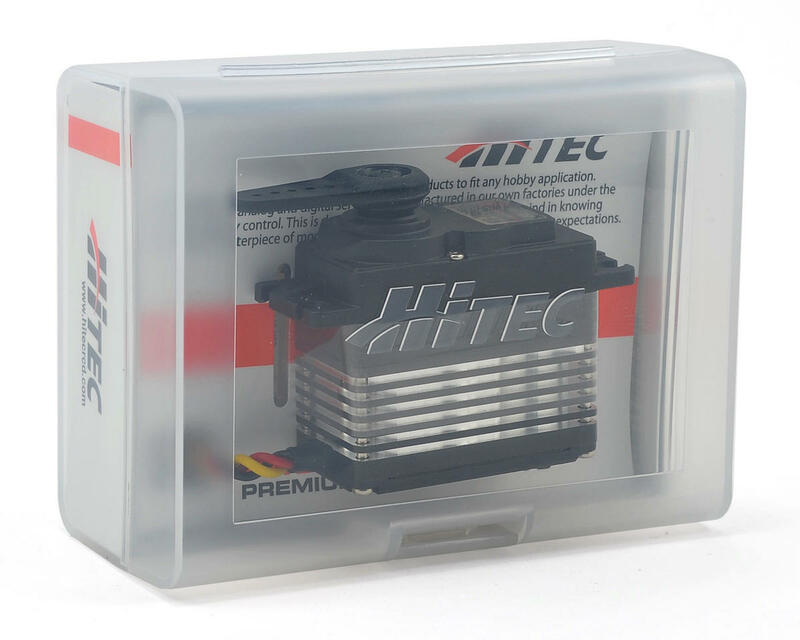 This is the most powerful servo Hitec has produced to date. The "Ultra Torque" HS-7950TH is designed to operate on a two cell LiPo Pack! Featuring Hitec's high resolution "G2" second generation programmable digital circuit and their indestructible Titanium gears, the HS-7950TH has the performance and durability you've come to expect from a Hitec servo. Other features in the HS-7050TH include a 7.4v optimized coreless motor, integrated heat sink case, and a top case with two hardened steel gear pins supported by axial brass bushing. My first 7950 was purchased Sep 2009 and just failed two weeks ago (didnt want to center properly). I just cant say enough good about the servos. I have two of them running in 1/8 buggy and truggy and they have just been great. I never worry about them. I picked up another after the failure and just sent the original in for repair so I'll have a backup now. Hitec's customer service is second to none in this industry. Forgot to add that it always centers perfect. Plenty of power and really fast response time. The titanium gears really help with abuse. Outstanding servo which took a severe beating this past season during a few 'highlight reel' crashes. Having used the older 5955/7955 with great success, I never thought I would find a better servo, until now. No more LiPo regulator and this servo works flawless with my M11x. Great product...you will not be disappointed with this one! For the next time i will choose im to. As others have said. This servo is a monster. 486 oz/in is insane. I have the servo in my SCX10 G6 truck. Never been in a situation where this servo could not move the tires. Also something of note, i have not had to install a BEC. 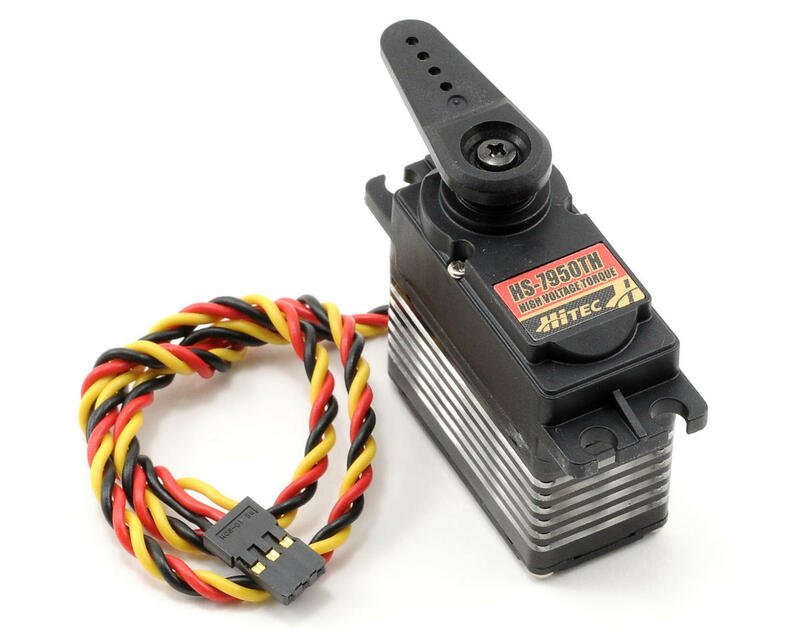 Usually on servos this powerful you get pretty severe brown out issues on your ESC. Not the case with this one. WOW this thing has monster amounts of power. Running it on a losi night crawler with rover tires. Snapped a couple plastic horns before I went to aluminum. I would Definetly recommend this product. Got 2 of these installed on my 4 linked F350 Hilift fitted with a 2S 5000mah 40c Lipo. it steers at ANY time. even if the tires are under heavy load and right next to a rock. it will either push itself or the rock away! amazing! 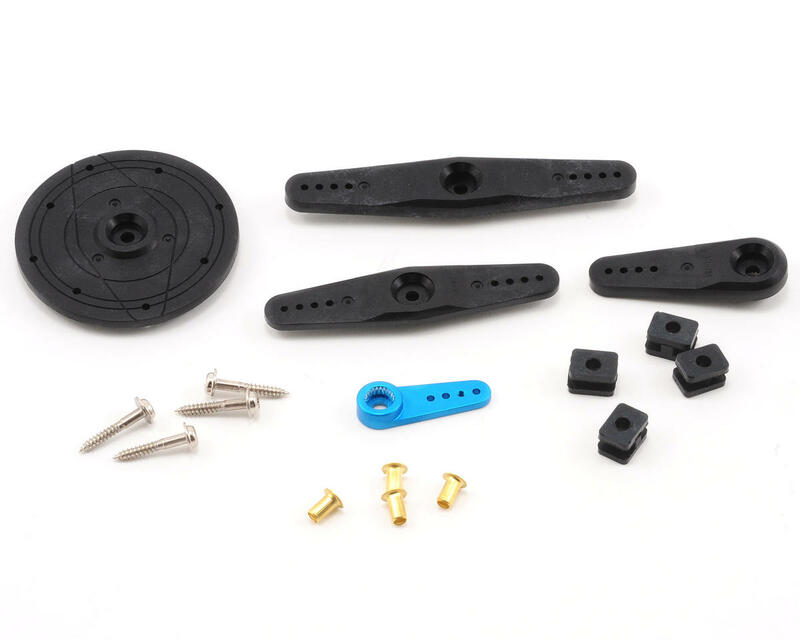 great servo for any rock crawler thats for sure. All I cna say is if your servo saver can handle it, tighten it up. This servo is absolutely sick! This servo is incredible! It is the perfect truggy steering servo! Running on a 7.4v 2s lipo the numbers are staggering and it means business! I wouldn't run any other brand servo! These new HV servos are a great upgrade from the already amazing 7955's. I wouldn't have believed there could be a better servo until these came about.